Born at La Baie du Febre, Quebec on 6 January 1843, he was educated at the Séminaire de Nicolet and was eventually called to the Montreal bar in 1864. He worked as editor of La Minerve while running unsuccessfully for Parliament in 1867. 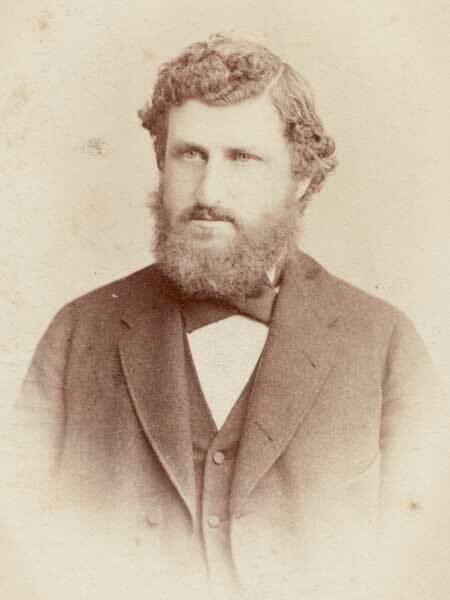 In 1869 he was appointed secretary to William McDougall, becoming a member of the notorious carpetbagging administration that McDougall brought west with him late that year. He was appointed because his uncle, Bishop Provencher, had been well liked by the Red River Métis. He was described as a “tall, bulky fellow, with an odd-looking head, hands of a Hercules, sloppy garb, heavy gait, and enormous bushy mop of hair.” He was briefly captured by Riel but released. He returned to Manitoba in October 1871 as immigration commissioner, spent 1872 in Paris, and came back to Manitoba as commissioner of Indian Affairs. In this post he helped conclude Treaty Three with the Lake of the Woods Ojibwa. After 1876 he practised law, helped found the University of Manitoba, and was defeated in the 1879 provincial general election. By 1880 he was back in Montreal working as a journalist, and he died there in 1887. Joseph-Alfred-Norbert Provencher, Dictionary of Canadian Biography XI, 716-17.